A few days back, S brought a large pack of reek yo hurt instead of the normal yogurt. He said he wanted to have that thick yogurt with rice. But unfortunately for S, the yogurt was way too thick for rice. After a look of at the yogurt, my naive husband, promptly asked me to serve the home made yogurt to go with rice. Since the extremely thick, creamy yogurt couldn't go with rice, I began to think of other ways to use up the yogurt. Some of it was used to spread on toasts. Some of it was used in smoothies and the rest was used up in making this dip. 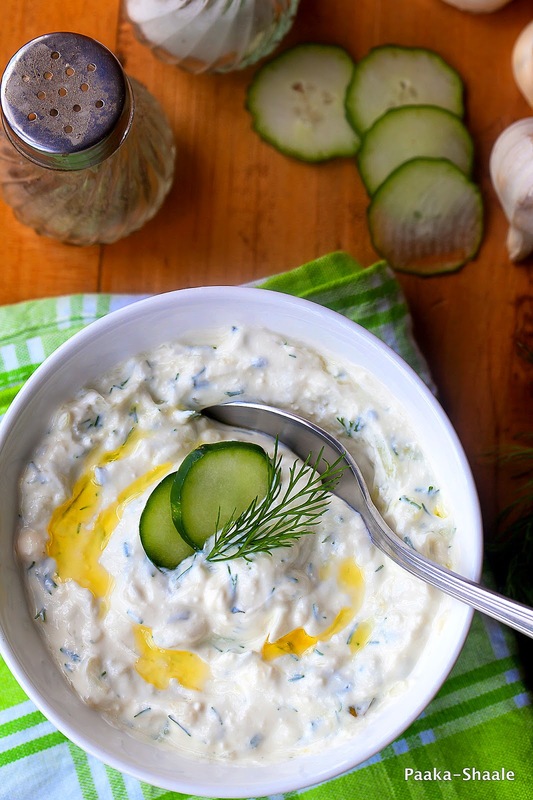 Tzatziki is perhaps one of the best and easiest condiments to have in the fridge. All you require is some greek yogurt or hung curd. Some chopped cucumber and some herbs of your choice, some oil and garlic and ta-dah, the delicious herb is ready!! To me this is a great alternative to mayonnaise. This dip is more like a blank canvas as there are perhaps a hundred variations to make this dip. There are recipes that call for herbs like thyme and marjoram to flavor this dip. There are others that do not use any herbs except mint. 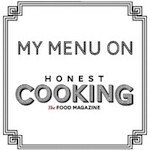 But I personally prefer the flavors of both mint and dill in this dip. 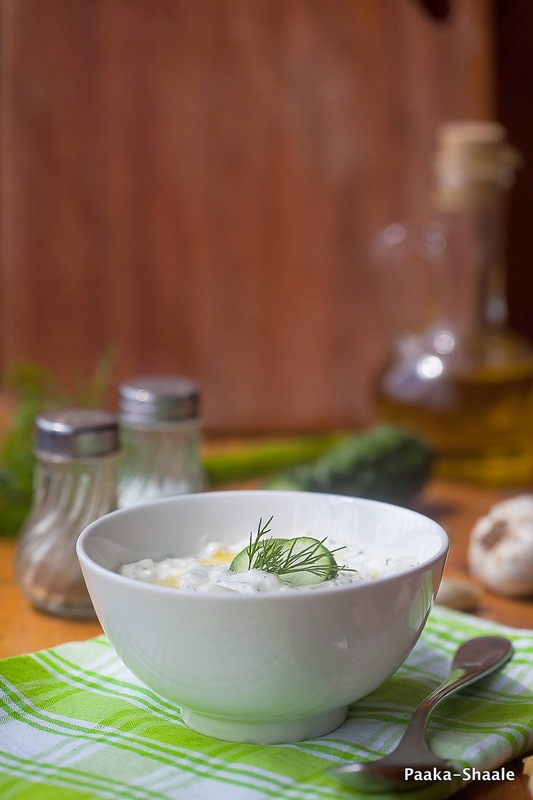 Traditional Tzatziki recipes even use a dash of lemon juice. But I omitted it because the yogurt was already a little sour. I feel that tzaziki tastes even better a day after it is made. Since the flavors of the garlic and the herbs are better infused in the yogurt, it makes the dip absolutely irresistible. 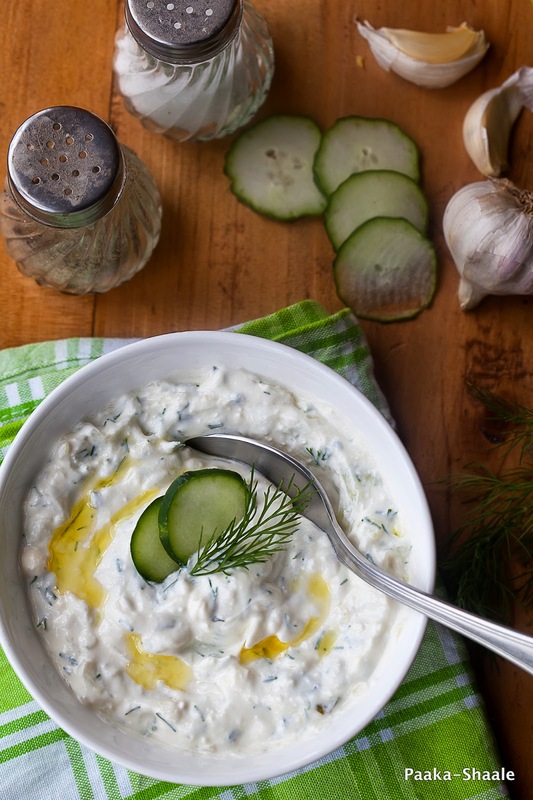 Tzatziki is a good dip to have around as it tastes great with just about everything, from salads to burgers to sandwiches. Add a pinch of salt to the grated cucumber and set aside for 10min. Squeeze out the water from the cucumber and seer aside. Add the crushed garlic and the chopped herbs to the cucumber, add the yogurt and mix well. Pour the olive oil while mixing continuously. Add the salt and pepper and chill. 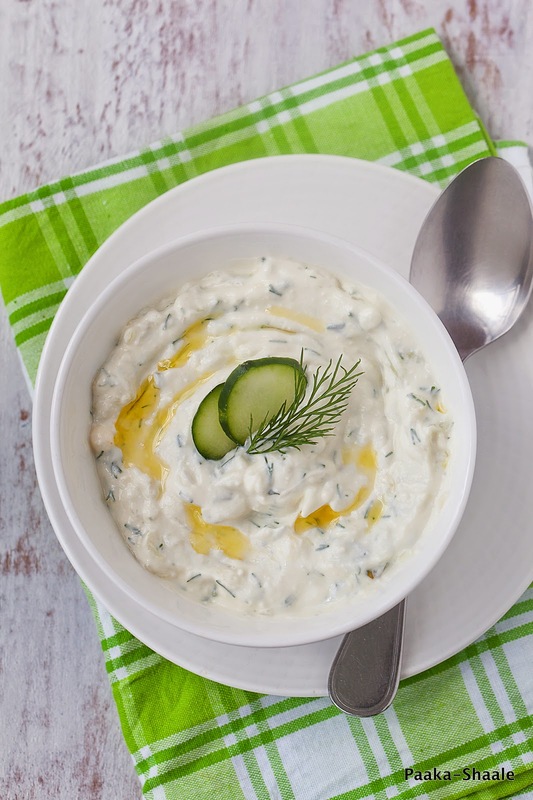 Serve tzatziki with crisp pita bread or use it as a filling in sandwiches and rolls. If you do not have greek yogurt on hand, then you can make your own by draining full fat yogurt in a metal strainer lined with cheese cloth, for a couple of hours in the refrigerator. You can add a dash of lemon juice or vinegar if you like sour taste in the dip. 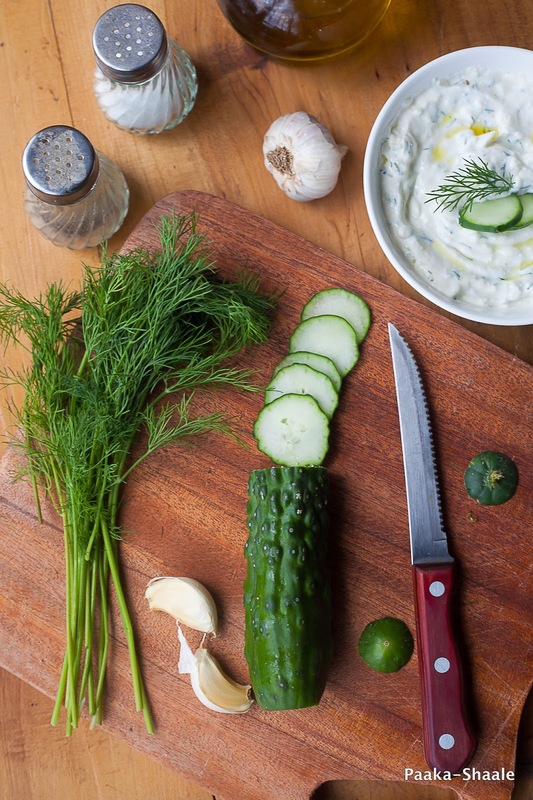 A tea spoon of parsley leaves can be used to garnish the tzatziki. I had never thought of using it for burgers, but hmm I like your suggestion! This looks delicious and appetizing on hot summer days! 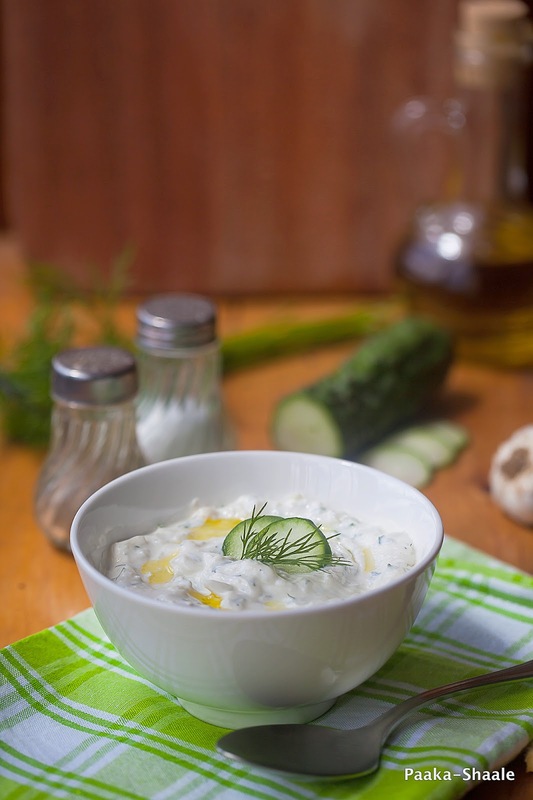 I love tzatziki and yours looks wonderful. A tasty pairing. The dip is such a summer cooler. would love some. 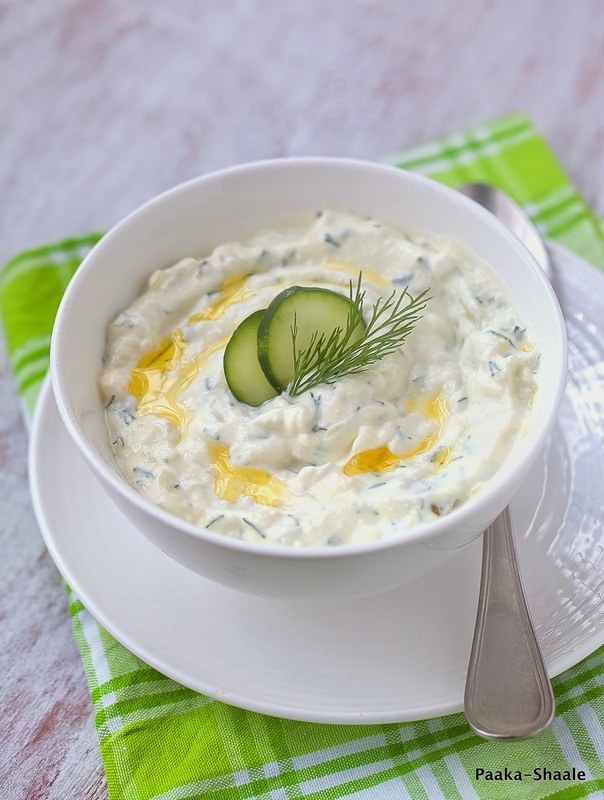 So creamy and highly addictive tzatziki, love to dip my vegetable and have it. I love this spread, looks so fresh.